Premiere Plantation Appliance Repair fixes almost all household appliances for Broward County and communities around Plantation. As a family-owned company, we are proud to serve our customers in Plantation and our main center of attention is ensuring that our customers get the best services for their appliances and in turn, earn their trust in our business. We appreciate all the ways we can and care for all their needs. The continuous training and years of experience that our technicians have gone through is proof enough that your appliances are in good hands. You don’t have to doubt our services; we assure you that after you have had a test of our business, you will want to have them again and again. Also, our specialists are trained to handle all brands and models of appliances. Same-day appliance repair services at Plantation Appliance Repair are our major concern. For this reason, we try our best to make sure that repair services are completed during our first visit to our customer’s home. We repair brands of appliances such as Sears, Maytag, Whirlpool, Kenmore, Bosch, Sub-Zero, LG, Wolf and Frigidaire among other brands. Additionally, we offer a 1-year warranty on all the manufacturer parts and labor in order to guarantee satisfaction. There are refrigerator problems that we fix at Plantation Appliance Repair. They include loud noises, water dispensers, leaks, cooling issues, smart technology, touch panels, condensation, ice makers, burnt-out bulbs as well as cooling issues. We fix all brands and models of refrigerators and freezers. As soon as your stove or oven breaks down, it needs to be fixed. This is because they are highly depended on at home. 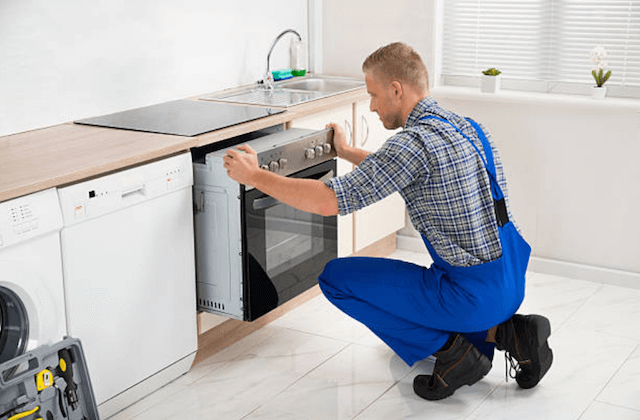 For this reason, you need to hire repair services for your cooking appliances to be repaired and Plantation Appliance Repair is the best place to ask for our services. We fix issues related to doors, bulbs, relays, burners, switches and igniters. A dishwasher is one of the most complex machines. It tends to have lots of issues that disrupt wash cycles. These issues include impellers, pump assemblies, solenoids, float switches, glass wares and other parts. These problems prevent the dishwashers from drying dishes. We will fix them for you in no time. 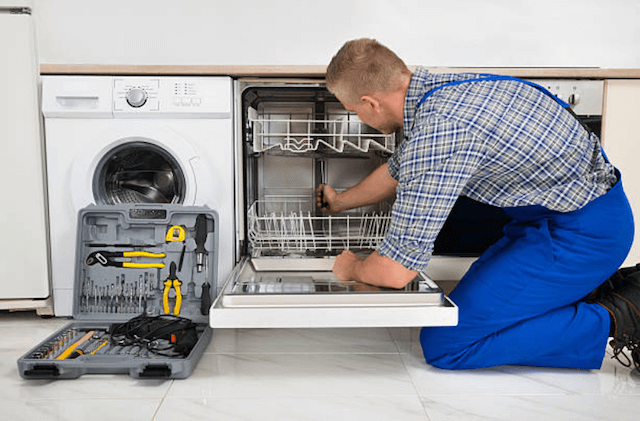 Some of the most common issues that we have repaired on washing machines are loud noises, vent issues, agitation, door, switch, control boards and front-and top-loading machines. These are common problems that our technicians handle daily at the Plantation Appliance Repair Company. In most cases, we will repair your washer or dryer the same day that you call to ask for our services. “Amazing service! The repairman arrived to the appointment early. He was friendly and careful to be quiet and not wake up my napping toddler. He fixed the dishwasher in under an hour and the price was affordable too!” – Leslie P.
“I am very happy with the service I received from Premiere Plantation Appliance Repair. This is a reliable, local company you can trust. I highly recommend their washing machine repair service.” – Christine D.
Q. IS IT CHEAP TO REPAIR AN APPLIANCE OR TO REPLACE IT WITH A NEW ONE? A. Once an appliance has broken, you are narrowed down to two options. However, you need to weigh these options and choose one that is most suitable and at the same time necessary. 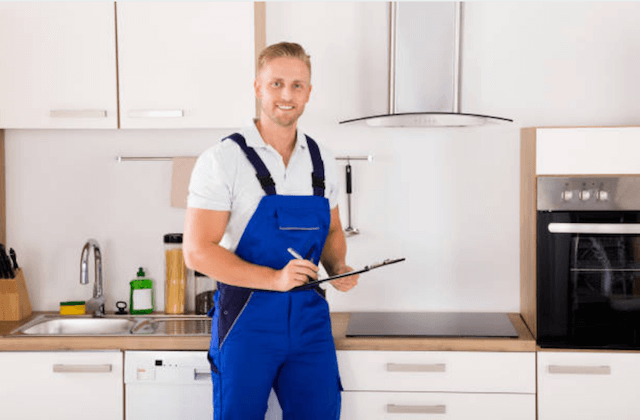 You need to examine your appliance and know the extent of damage that it is having for you to decide whether you will hire repair services. 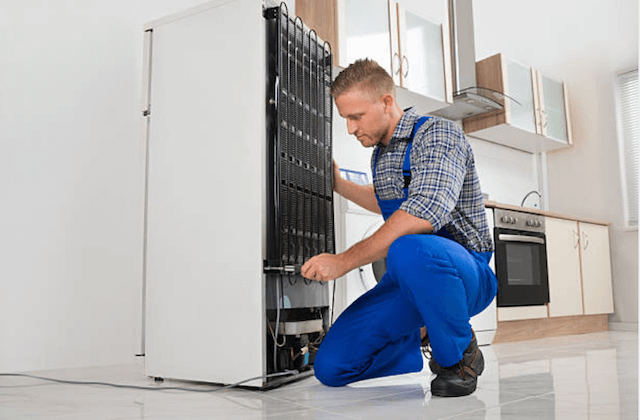 Nonetheless, we would advise you to repair that broken appliance since it saves you a lot of money that you would have spent replacing it with a new one. Additionally, the lifespan of an appliance determines whether the appliance should be replaced or repaired. Q. YOU YOU OFFER WARRANTY FOR YOUR SERVICES? A. Yes. Mostly, when we are out to carry out our repair services, we carry the manufacture parts that we use to preserve warranty. Also, we offer you a 12-month warranty on labor and all the parts of different brands and models of appliances. Some of the parts of brands that we carry include Kenmore, Kitchen Aid, LG, Maytag, Whirlpool, Frigidaire, Sub-Zero and GE just to mention a few. Q. WILL YOU FIX MY APPLIANCE DURING YOUR FIRST VISIT? A. Yes. We assure you that once our technicians visit your home, they will take care of your appliance in the shortest time possible. However, if they fail to finish fixing your appliance on their initial visit, we promise they will return on a later day and finish what they started without charging you a coin. Q. ARE YOUR APPOINTMENTS FIXED? A. Yes. All our appointments are scheduled depending on the time that you call to ask about our services. Nonetheless, we provide a window period of not more than three hours. This allows our technicians to get enough time to reach you. Also, we will notify you once we are 15 minutes away from your home. Q. IS THERE A LIST OF ALL THE BRANDS AND MODELS OF APPLIANCES THAT YOU REPAIR? A. Yes. We have a complete list of all the appliances that we repair at Plantation Appliance Repair Company. Nevertheless, if you are not able to find your brand appliance on our list, feel free to give us a call. Ask as many questions as you wish. On their repair, we will order their parts and still carry out their repair. Copyright © 2019 Plantation Appliance Repair.